Eric Stevens arrived at Kitsap Humane Society early in 2012 to lead the organization through a challenging economic time. Today, after partnering with a dedicated Board of Directors, Eric reports that KHS is financially stable and poised to embark on expanded goals and programs. For more than 30 years, Eric Stevens has worked as a leader in the nonprofit sector. He has had his own independent consulting practice since 2005, specializing in strategic and business planning, board development and executive coaching with nonprofit leaders and boards. Prior to consulting, Eric spent more than 25 years leading (and growing) nonprofit organizations in Minnesota as an Executive Director/CEO. For 20 years, he led St. David’s Child Development and Family Services, significantly expanding the organization’s services, staff and budget and successfully completing two capital campaigns. For six years, he served as CEO of Courage Center, a rehabilitation and social service facility for people with physical disabilities. More recently, Eric served as Development Director of the Bloedel Reserve on Bainbridge Island, where he helped to significantly expand fundraising revenues. He also has served on nearly a dozen boards of directors, often taking on leadership roles (e.g. board chair and/or committee chairs). Eric grew up in New York City, where he attended Queens College majoring in economics. He then attended the MBA program at Stanford Graduate School of Business, and later earned Master’s Degrees in Early Child Education at Central Washington State University; and Organization Leadership at the Leadership Institute of Seattle. Eric lives on Bainbridge Island with his wife, Caroline. 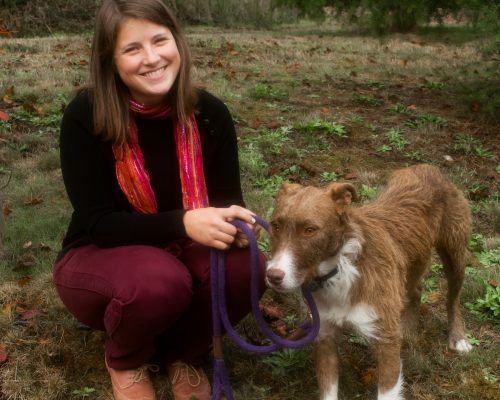 Sarah Moody-Cook joined KHS in 2002 as a volunteer dog-walker. In 2004 she was hired and since then has filled various roles in the areas of Animal Care, Adoption Outreach, Veterinary Services, and Volunteers. She most recently held the position of Assistant Director of Animal Welfare. Sarah received a bachelor’s degree in Arts, Media and Culture from the University of Washington in 2013. 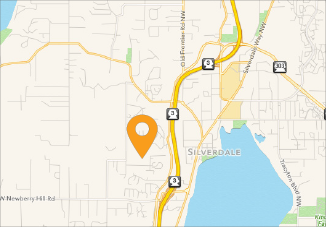 She lives in Silverdale with her husband, two cats (KHS alumni) and 13 chickens (most are KHS alumni as well!). Jennifer Stonequist, DVM, received her doctorate in veterinary medicine from Western University Health Sciences in Pomona, California. She always had a passion for animal welfare and realized through veterinary medicine she would contribute to the movement in a very meaningful way. “Dr. 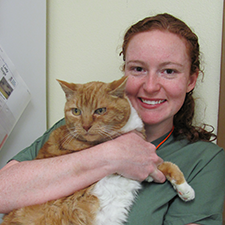 Jen,” as she’s affectionately known at KHS, completed several externships with hospitals and organizations across the country during her studies, including in surgery, internal medicine, emergency medicine, feline medicine and a shelter medicine externship with Best Friends Animal Society. One of Jennifer’s passions is high-quality, high-volume spay/neuter surgery. She has volunteered with organizations including FixNation in LA, the Humane Society of Tijuana and the Feral Cat Spay/Neuter Project here in Washington . 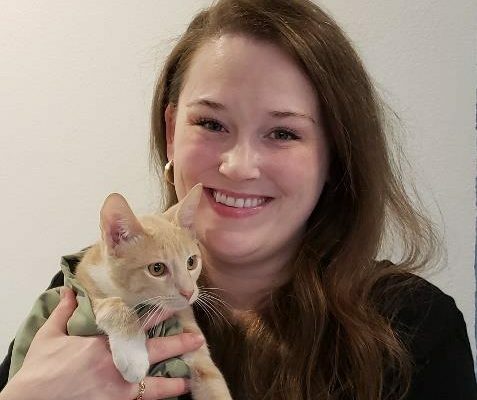 Bringing those experiences to KHS, Jennifer has worked with staff and volunteers to develop and expand the Kitsap community’s own low-cost Spay/Neuter Program. Jennifer lives with her fiancé, Alec, and their “fur babies,” including their two dogs, Rosco and Baragon, in Bremerton. 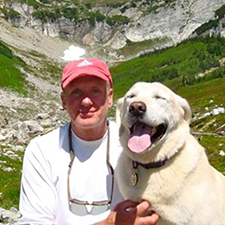 Tom Weed comes to Kitsap Humane Society with a strong passion for both animal welfare and nonprofit development work. Before taking on the role as the Director of Donor Relations at KHS, Tom has served as the Development Director for Camp Korey, the Pike Place Market Foundation and as the Director of Donor Relations at Forterra. Prior to transitioning into the nonprofit world, Tom spent over 20 years working for investment banking firms as a wealth management advisor. Tom is originally from Minneapolis, Minnesota, attended both Colorado College and the University of Minnesota, married the girl next door and slowly began drifting west. After living in Bozeman, MT, he landed in Seattle. Tom and his wife, Katie, have lived on Bainbridge Island for over 20 years and have two grown daughters who, when younger, were volunteer dog walkers at KHS. Tom and Katie own a tripod yellow lab rescue dog named Jake and when not working in the garden or at a Seattle Sounders game, they can be found backpacking around in the Olympics or the Cascades. Kim holds a Bachelor of Science in Nursing, from Linfield College in Portland, Oregon. Her nursing career included emergency, perioperative and cardiology services. She began as a volunteer at KHS in 2015 and shortly thereafter accepted employment with us, assuming roles in our Events and Outreach Department. Kim was promoted to Director of Development and Community Engagement in 2019. 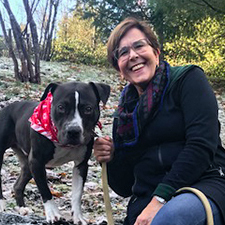 Kim is a life-long Kitsap County resident and currently lives in Bremerton with her husband, four beloved animals, and a rotating assortment of foster cats. 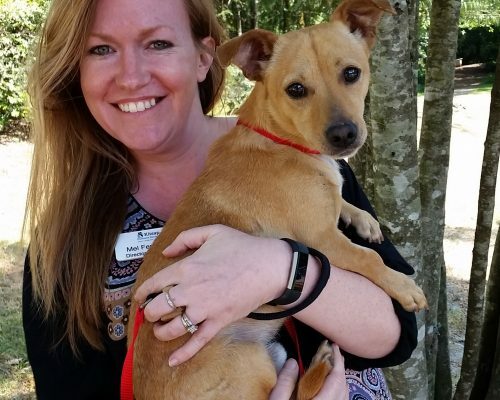 Rhonda Parks Manville comes to Kitsap Humane Society after nine years as VP of Marketing for Seattle Humane, where she oversaw the rebranding of the agency and was on the leadership team that raised $30 million for a new animal shelter and teaching hospital. Rhonda earned a B.A. in Journalism from San Francisco State University, an M.A. in Religious Studies from UC Santa Barbara, and a certificate in digital marketing from the University of Washington. Prior to animal welfare, she worked in international relief and was a journalist who covered social issues, nonprofits, religion and government. Rhonda is a Northwest native and lifelong animal lover whose family has rescued homeless pets as long as she can remember. She and her husband Todd have a college-age daughter and two dogs, one cat, and a flock of laying hens. Melissa joined the KHS team in March 2018. She has over 20 years of experience in the fields of accounting and human resources. She received her Bachelor’s Degree in Accounting from Sonoma State University. After college she moved to Silicon Valley, right before the big dot-com implosion, and spent several years helping small R&D companies shut down their businesses. Following that, she moved to Hawaii, got married and had her first child. After five years of Hawaiian Island living and working as an accounting and HR manager, her family returned to the mainland – Washington state. Prior to assuming her role at KHS, Melissa worked for a non-profit nursing home on Vashon Island as the accounting and HR manager. Melissa lives with her husband, two children and their beloved family dog.